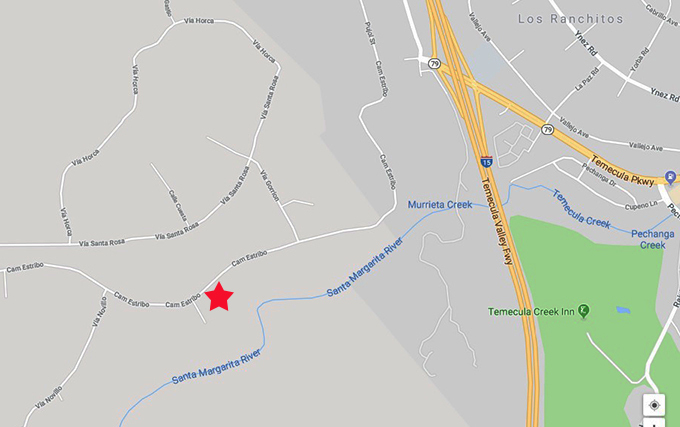 One man died and a Murrieta man was arrested for felony DUI after a single-vehicle accident Sunday morning in an unincorporated area of Temecula, according to authorities. At about 6:53 a.m., a 1995 Jeep was traveling westbound on Camino Estribo just west of Via Gorrion at an unsafe speed, according to a CHP news release. The vehicle failed to negotiate a left-hand curve in the roadway and drove off the south edge of Camino Estribo. The jeep rolled down a dirt ravine, struck a tree and landed on its roof. The passenger, a 26-year-old male from Quartz Hill, died as a result of blunt force trauma to the head. The driver, 23-year-old Justyn Cabunoc of Murrieta, was booked into the Southwest Detention Center for felony DUI.